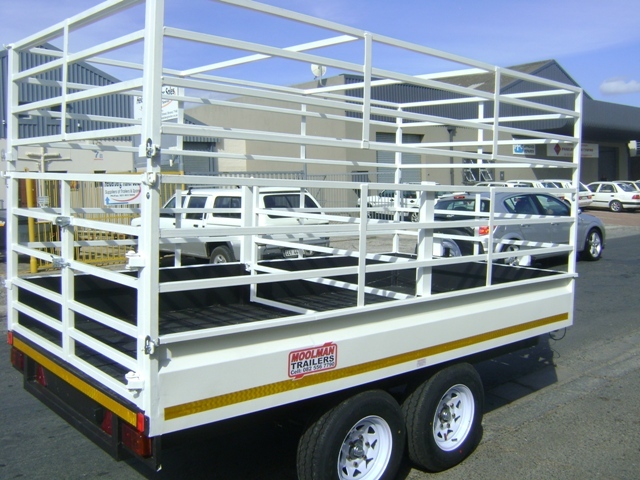 We specialize in the manufacturing of trailers to your specifications. 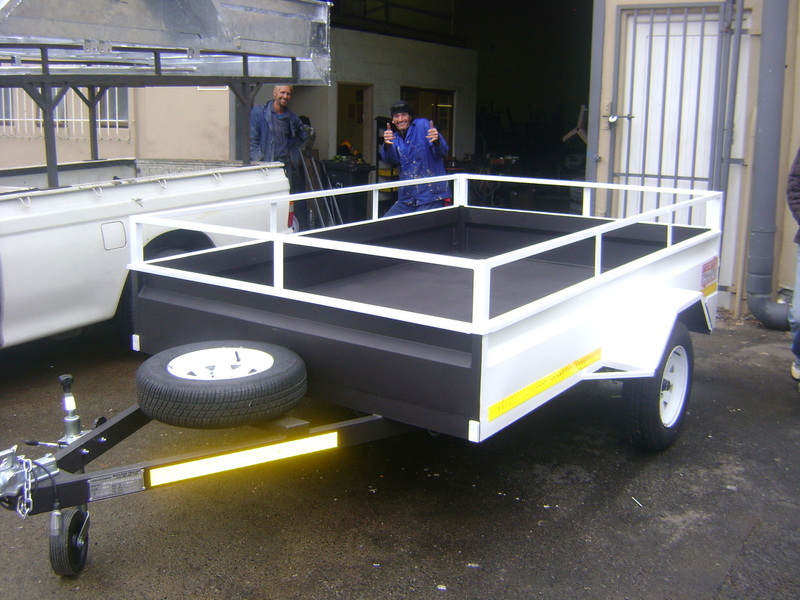 Please ask for a quotation according to your requirements or come and visit us at the factory. 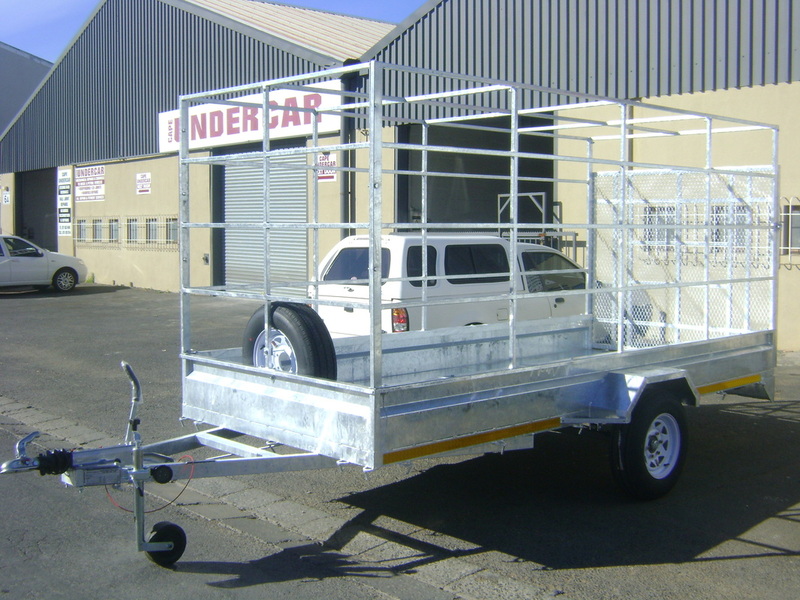 All trailers can be galvanized at additional cost. 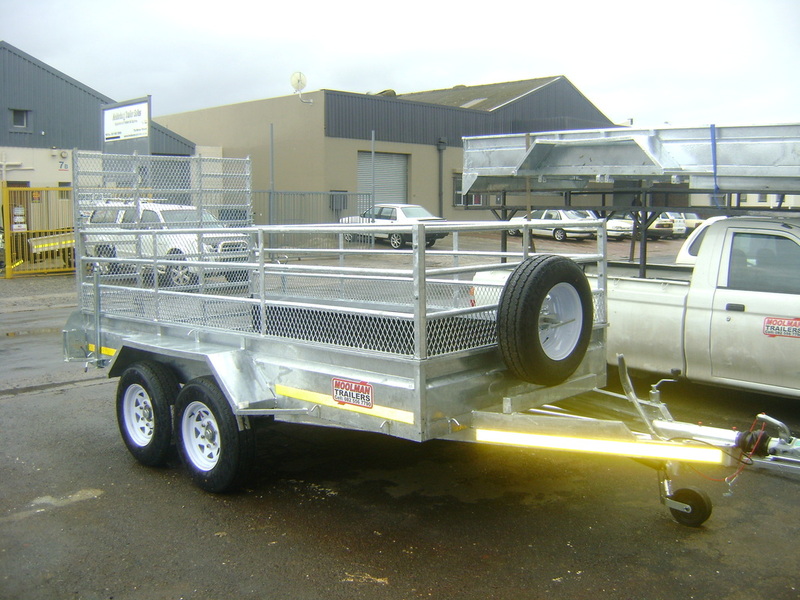 Newest addition to the Moolman Trailers family. 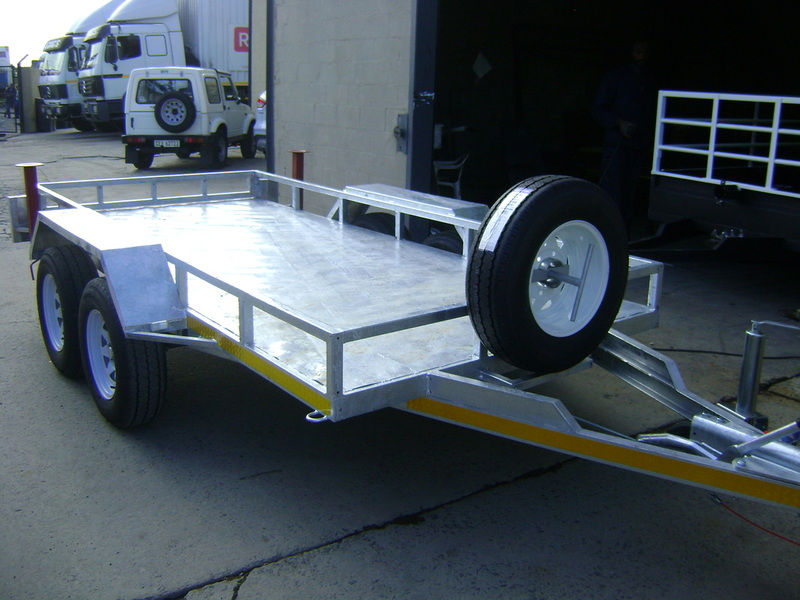 The enclosed aluminium trailers!! 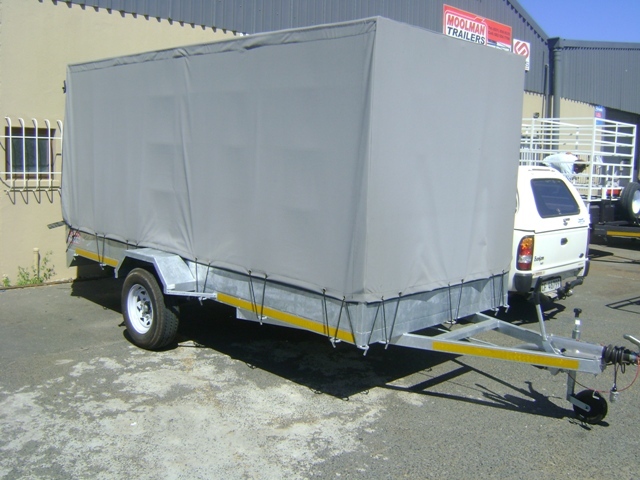 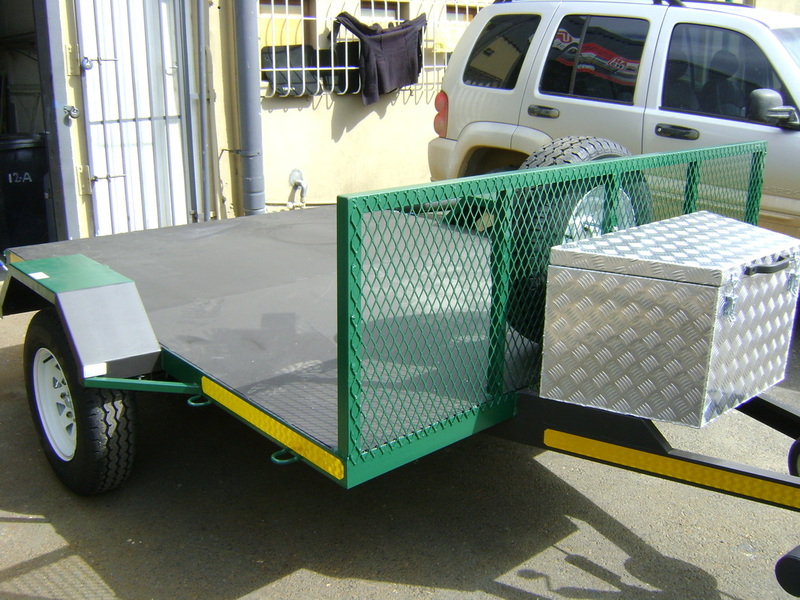 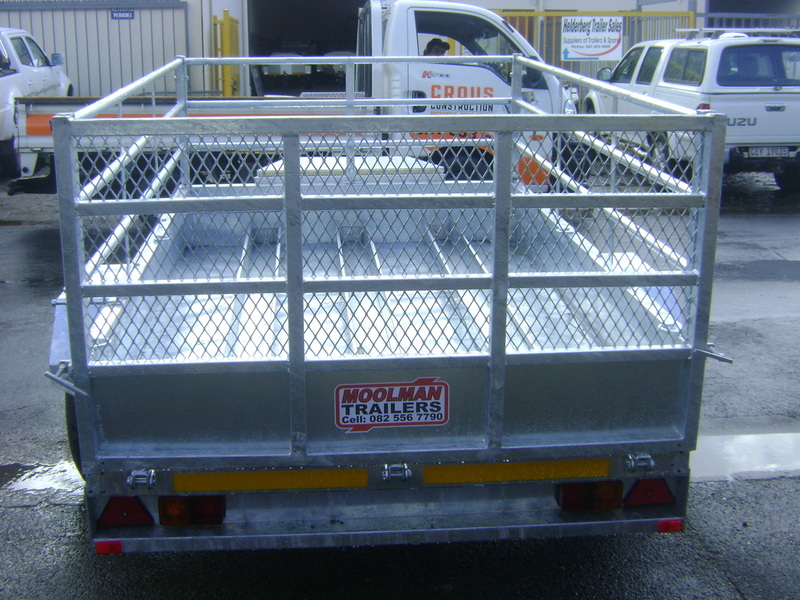 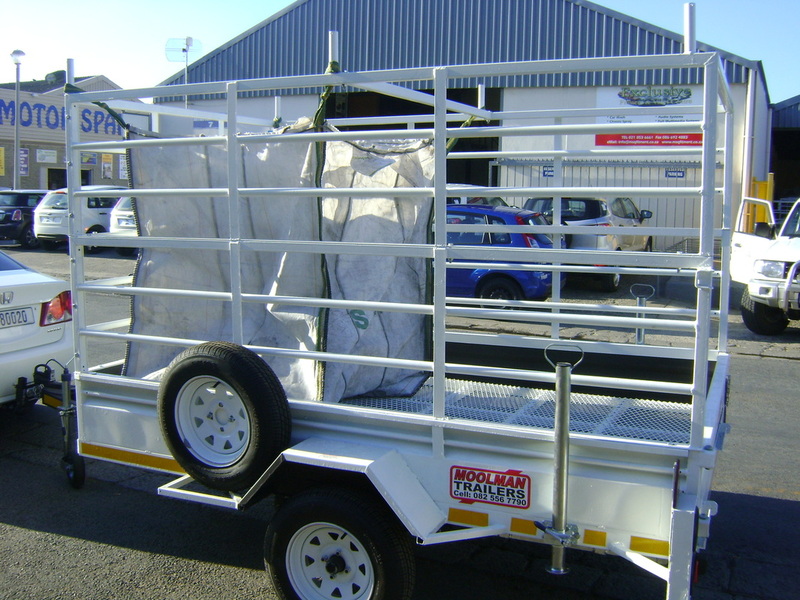 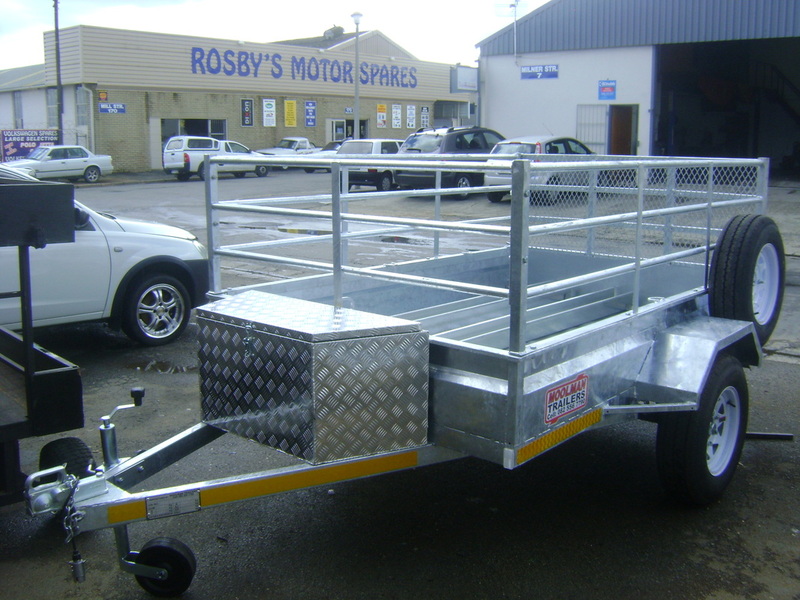 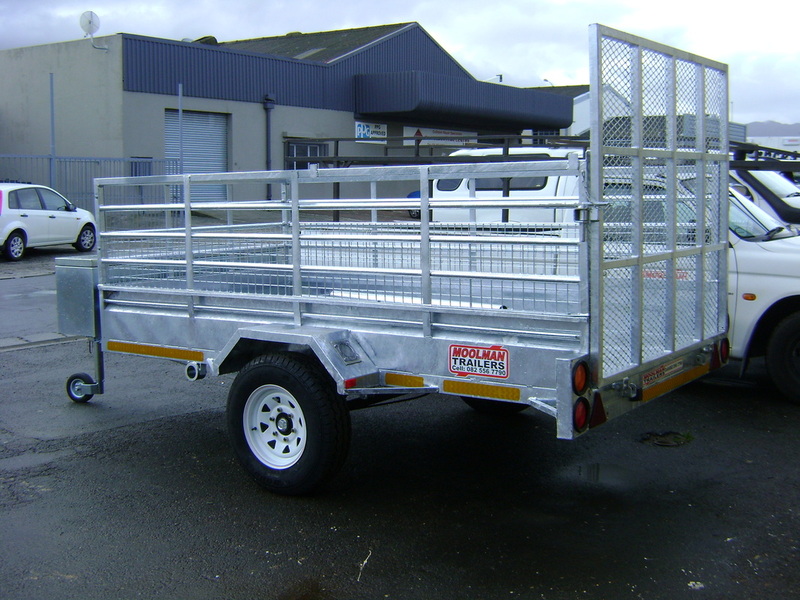 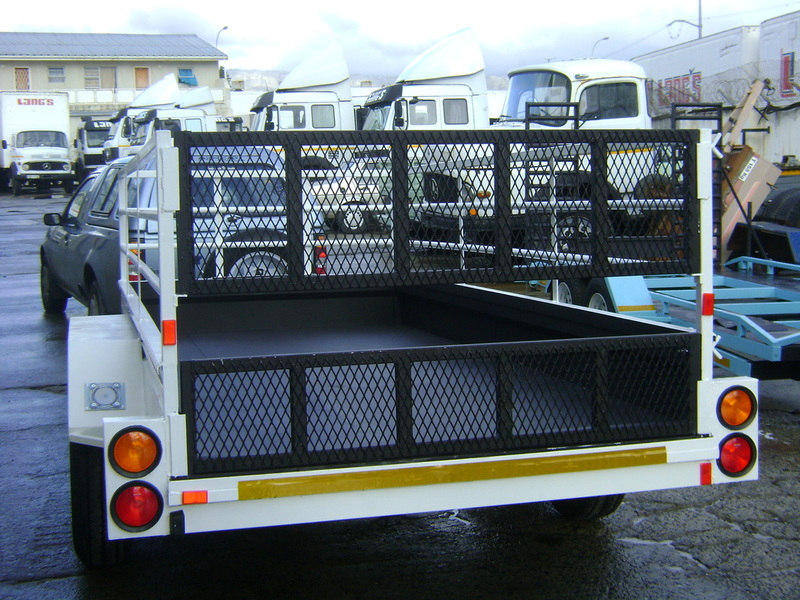 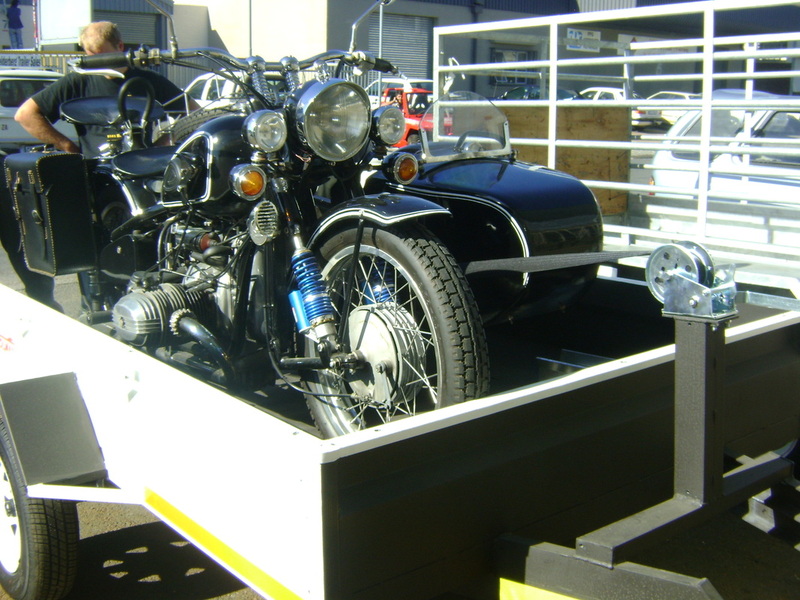 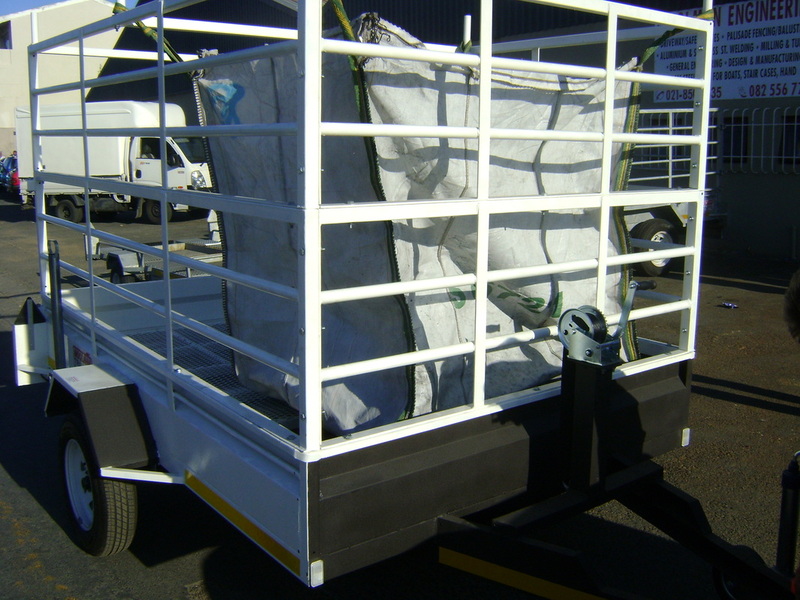 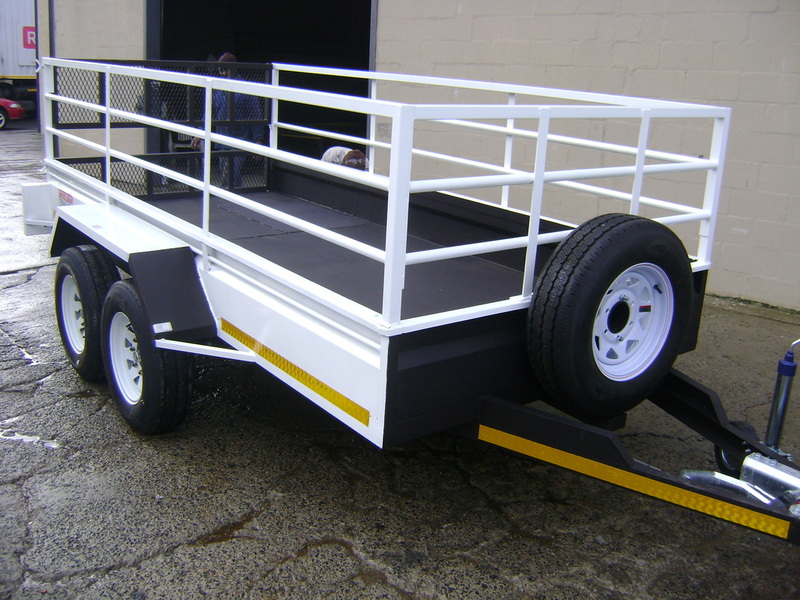 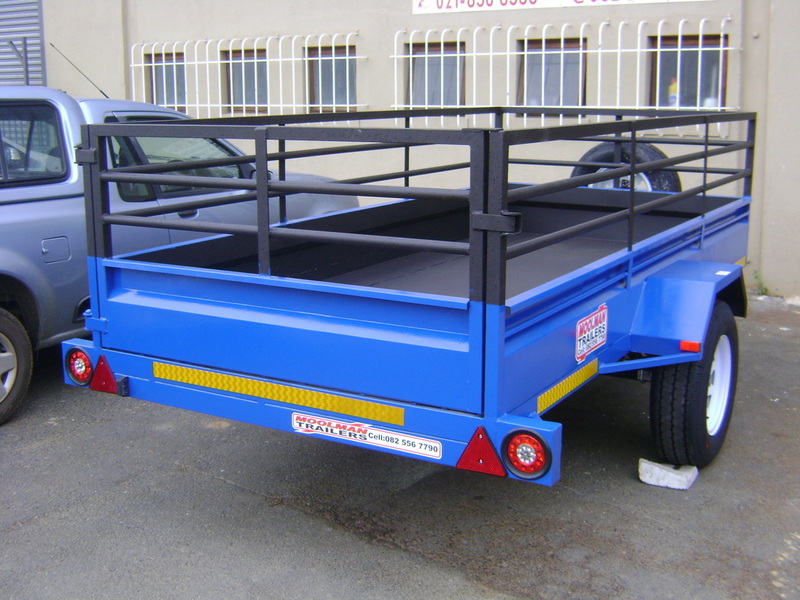 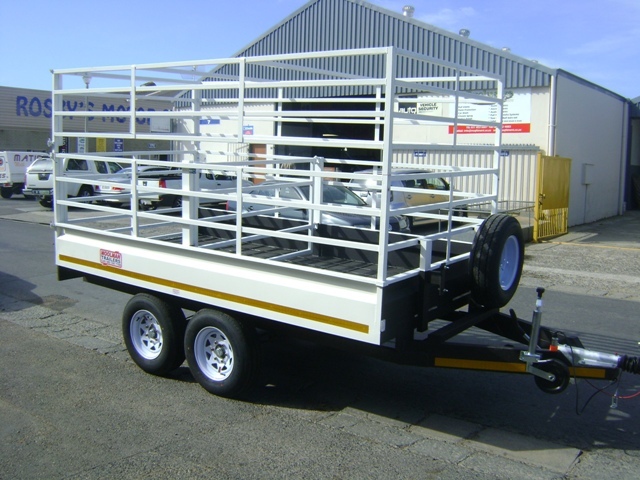 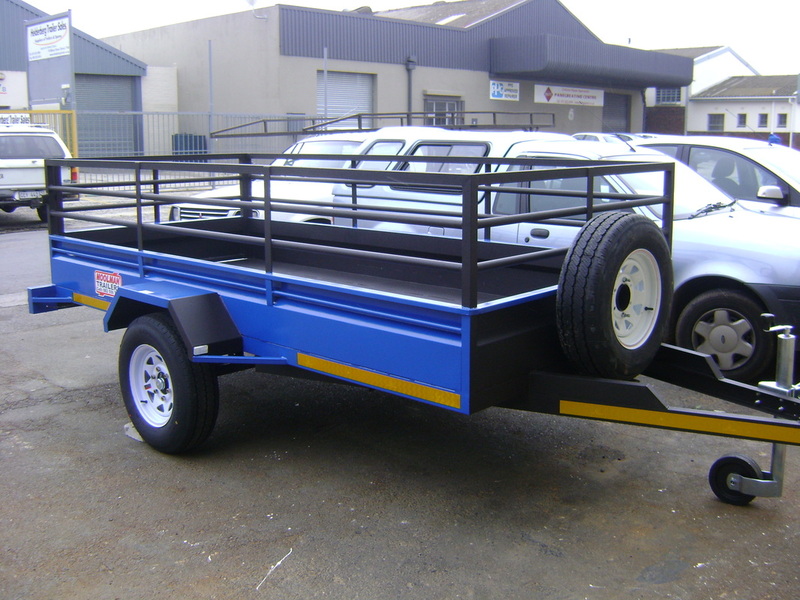 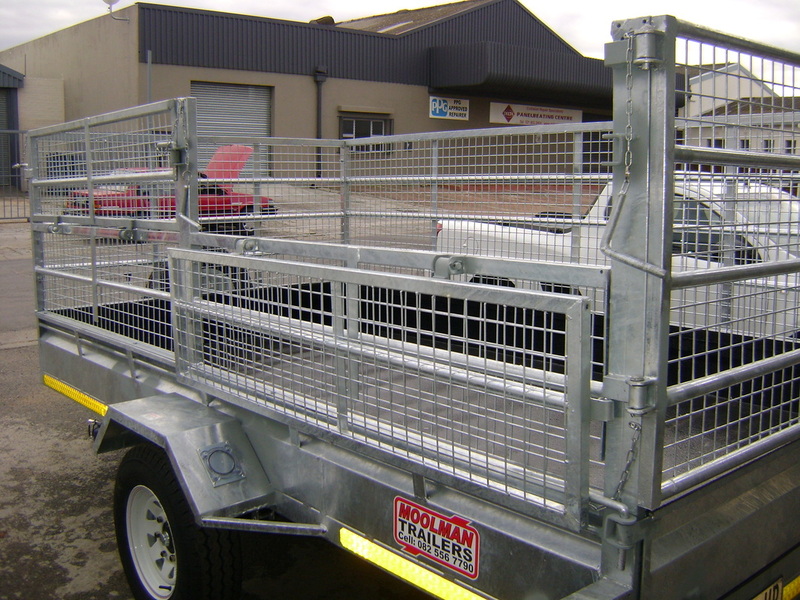 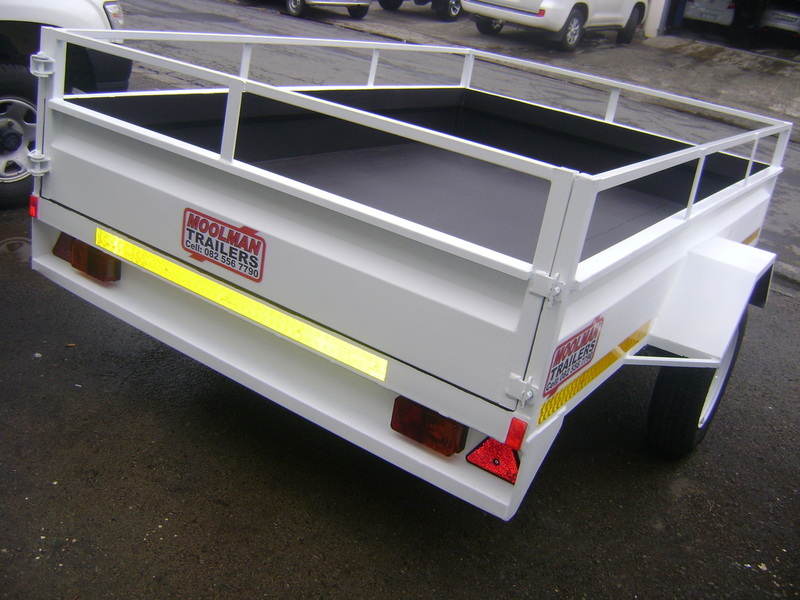 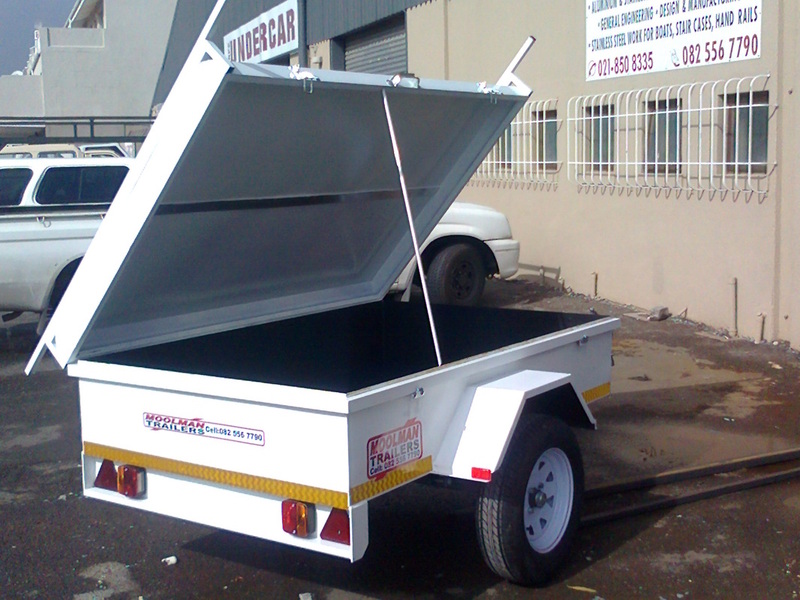 4m X 1.7m X 1.8m high single axle trailer (braked) 1600kg GVM 195/14" tyres & rims with fold down ramp and covered with canvas. 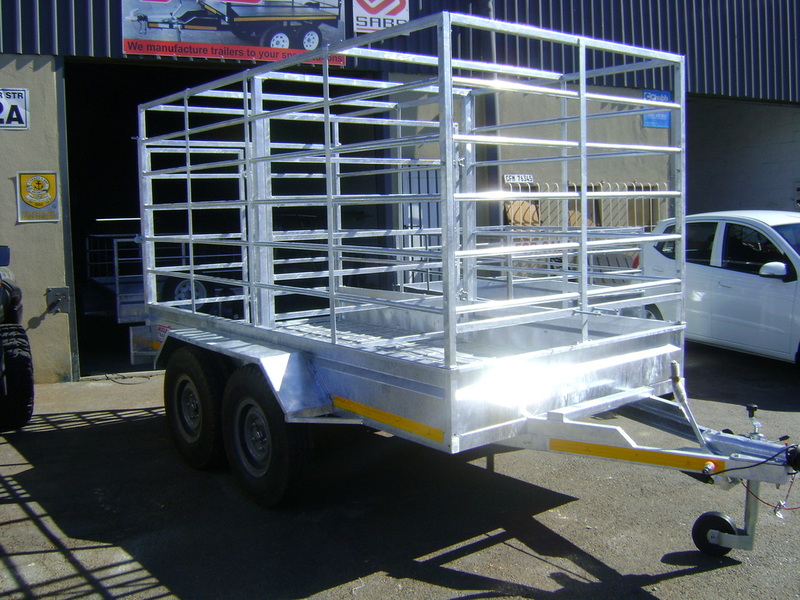 3.5mX1.6m double axle trailer 2700kg GVM. 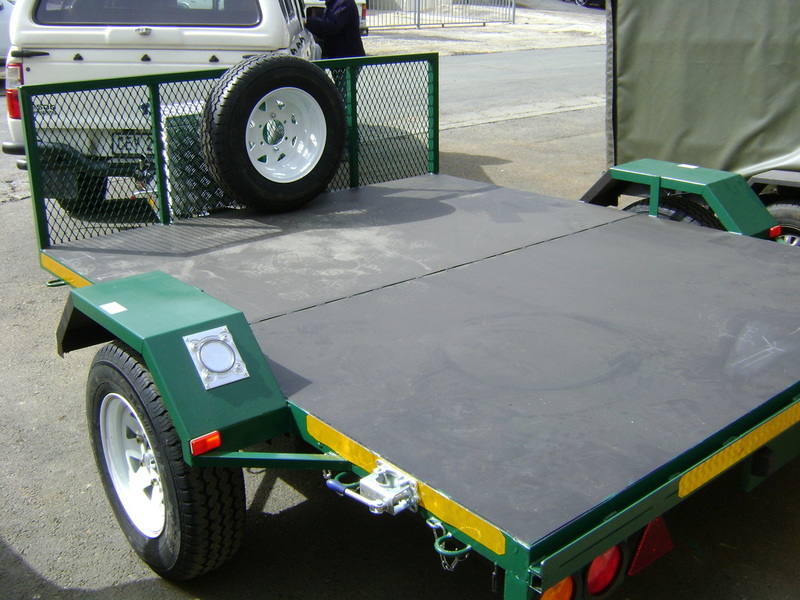 195/14" tyre & rims with parking jacks and ramps stored underneath trailer. 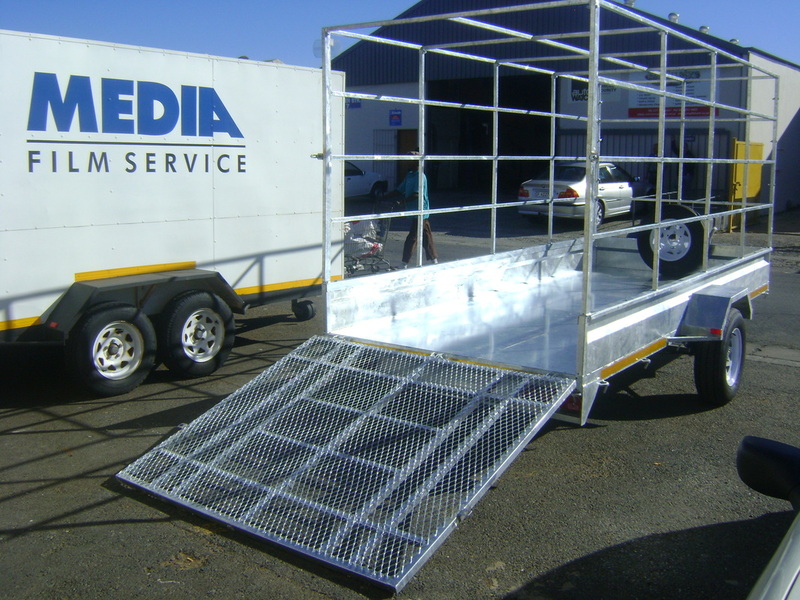 3m X 1.6m single axle trailer (braked) 1600kg GVM. 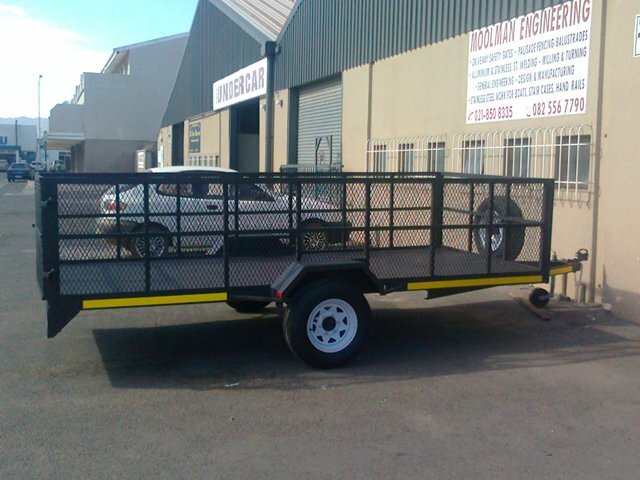 195/14" tyres & rims. 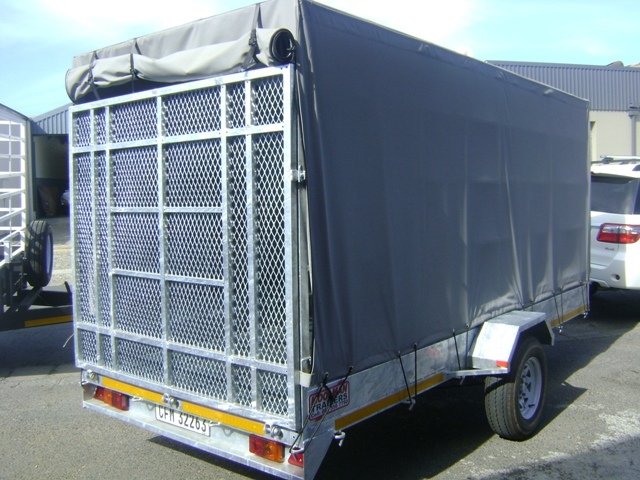 Ramp at rear end of trailer-1.4m high covered with mesh. 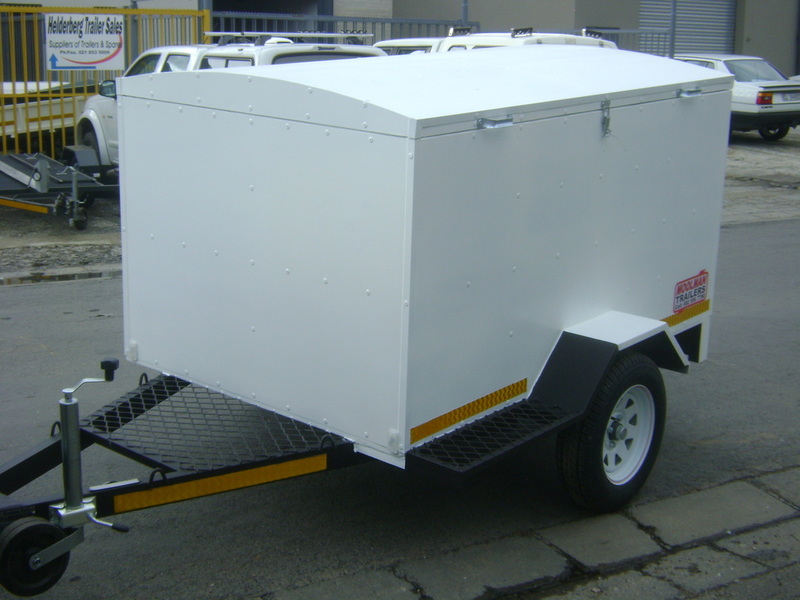 (removable)Aluminium nose cone box included. 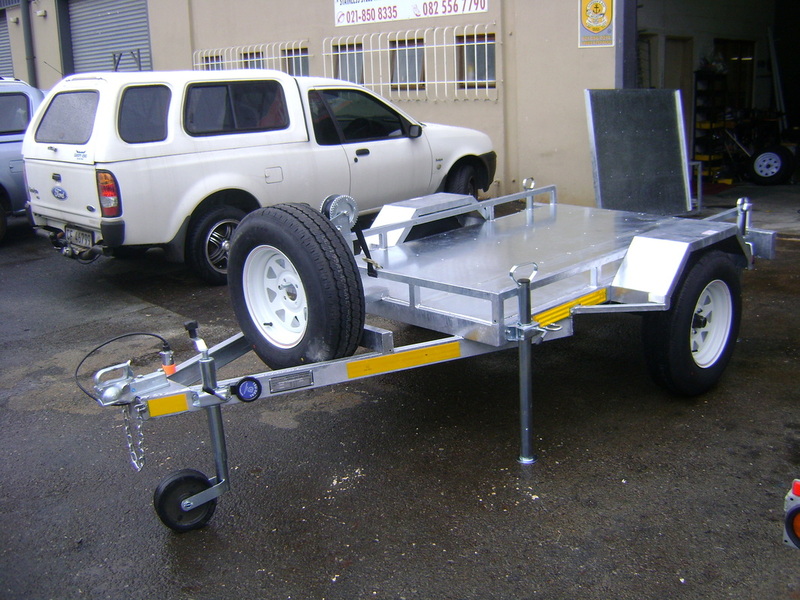 2.6m X 1.7m X 1.5m high single axle trailer (un-braked) 750kg GVM. 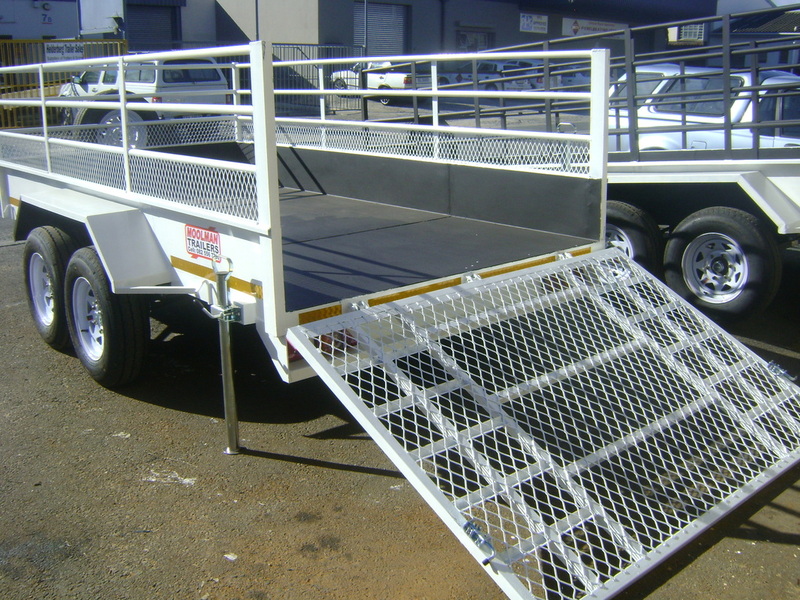 detachable rails. 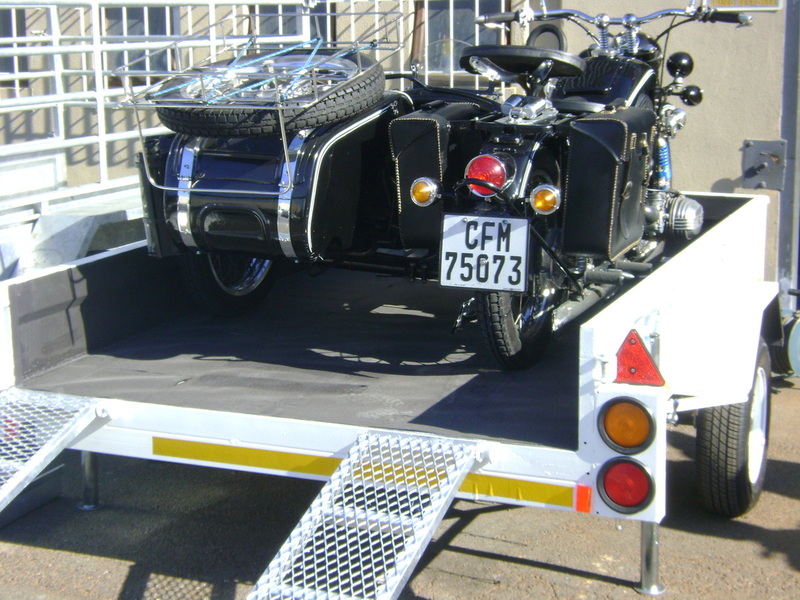 and ramps and prop stands for motor bike with side car. 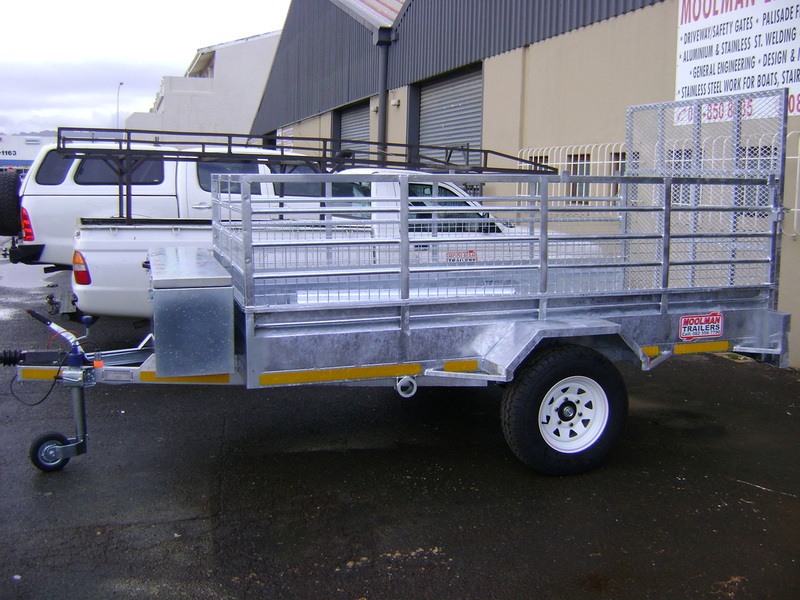 155/13" tyres & rims. 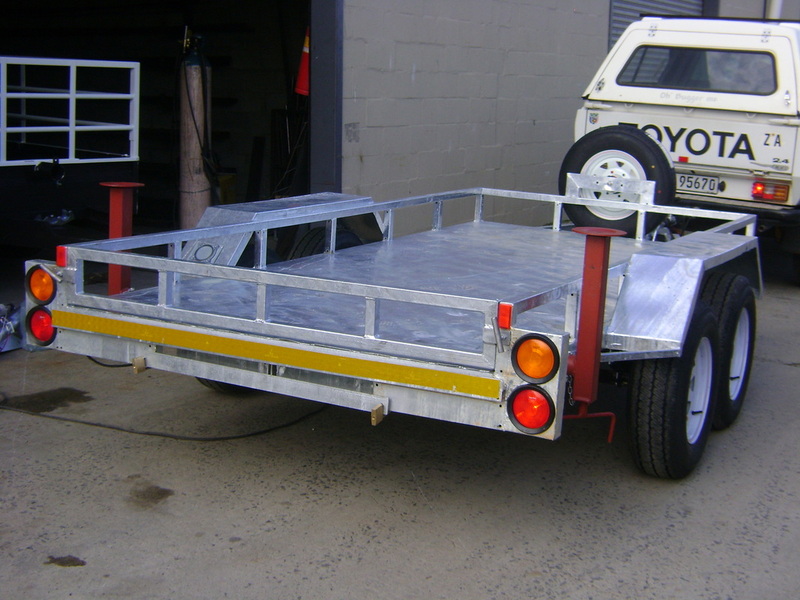 3.5m X 2m single axle trailer (braked) 1600kg GVM. 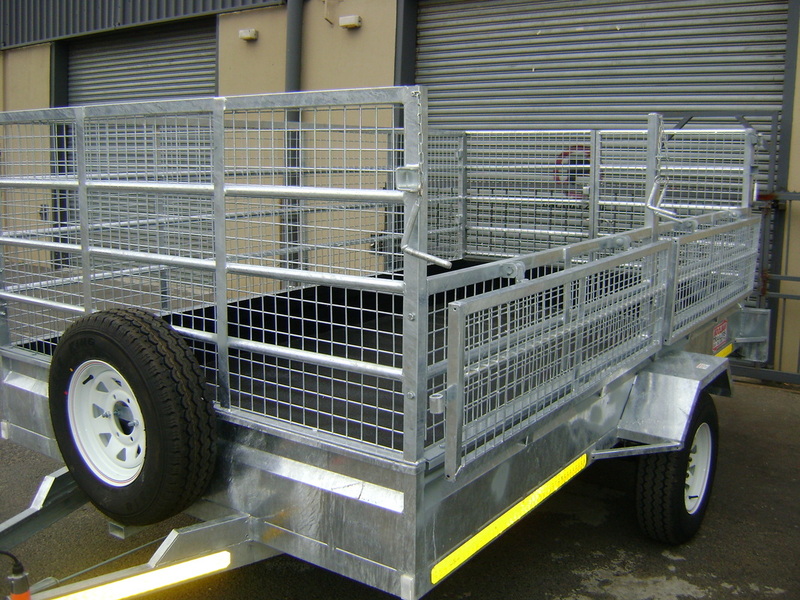 195/14" tyres & rims Galvanized and rubberized.All rails covered with mesh. 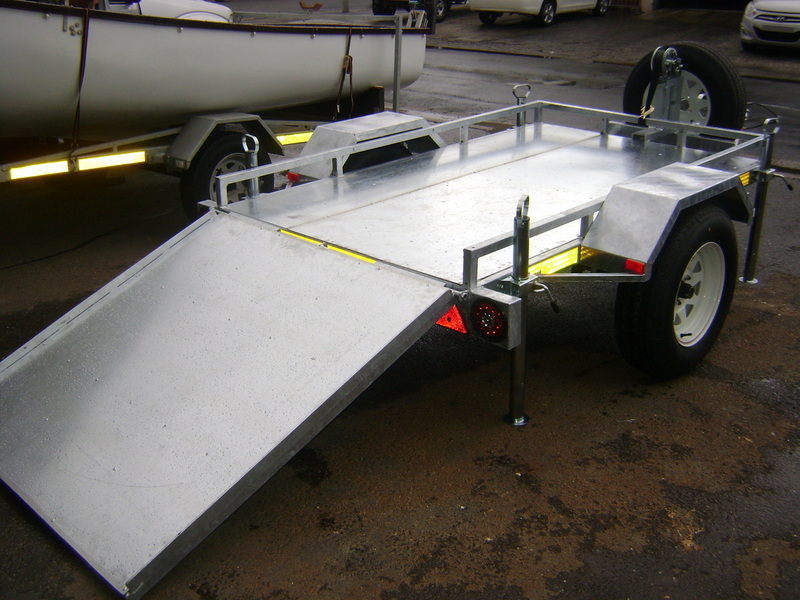 Left hand side to open 450mm with hinge. 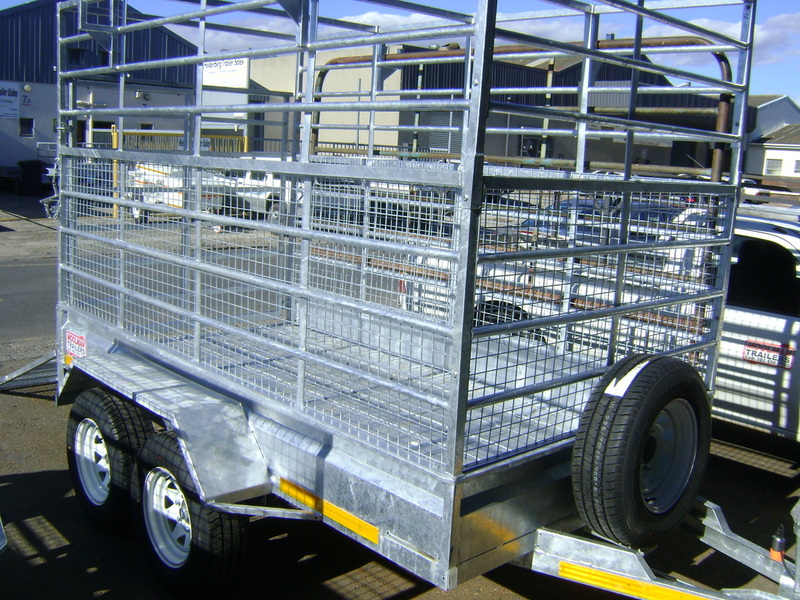 3.2m X 1.7m double axle trailer 2700kg GVM (Wild animal trailer).